Following the repression of Communists by the KMT in Shanghai and Wuhan, the CCP staged a string of uprisings against Chiang Kai-Shek’s forces. The first of these was the Nanchang Uprising of 1-5 August 1927, a reaction to the expelling of Communists from the Wuhan government. The uprising was led by Zhou Enlai and Zhu De and mounted 30,000 forces – despite being initially successful, the CCP was soon forced to retreat. The second uprising took place on 7-13 September in Hunan province. Branded the Autumn Harvest Uprising, it was led by Mao Zedong and succeeded in capturing a few towns. According to CCP history, Mao’s troops reached Changsha but could not take it, due to a regiment deserting. Chang and Halliday offer a different perspective of events, alleging that Mao had in fact sabotaged the uprising to allow him to capture a force of Nationalist deserters who were crossing over the CCP, prevent them from defecting to any other CCP leader and thus increase his own power within the party. Following the defeat at Changsha, Mao and 1000 of his soldiers escaped to the Jinaggangshan Mountains. The third uprising took place in Guangzhou on 11-13 December. CCP troops briefly captured the city and proclaimed a Soviet – however, the KMT soon retook Guangzhou with the help of foreign warships, killing 5700 Communists. between Hunan and Jiangxi. 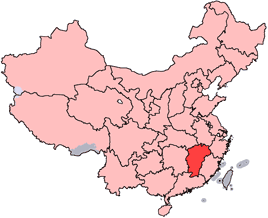 On November 7, 1931 the Soviet Union helped organise a National Soviet People’s Delegate Conference in Ruijin, a town in the Jianxi province, marking what would be the founding of the Jiangxi Soviet – an area controlled by CCP troops that would eventually grow to 30,000 square kilometres and a population of 3 million. The emergence of the Jiangxi Soviet was part of a broader re-aligning of where power in the CCP lay. The central leadership in Shanghai had been recently refreshed by a group of Chinese Communists who had studied in Soviet Russia since the mid-1920s – the so-called ’28 Bolsheviks’, including Wang Mind, Bo Gu and Zhang Wentian. The line espoused by the centre in November 1929 affirmed that the line of urban-centric insurrection was ‘entirely correct’ – Mao, however, had different ideas. With Jiangxi increasingly gaining autonomy from the central command (in 1928 instructions from Shanghai took 6 months to reach the Soviet)1, Mao had a chance to further strengthen his ideology of a peasant-based, rather than worker-based, revolution. He had first introduced this concept in his 1927 work ‘Report on an Investigation into the Peasant Movement in Hunan’, which challenged the Marxist-Leninist orthodoxy by suggesting a revolution could come from the rural areas. Despite the official centrality of the Shanghai CCP and its view of revolution, the “real power faction” according to Ryan was developing at the Jiangxi base under Mao and Zhu De. The Jiangxi CCP government did not merely control the province – they set about attempting to implement social programs that would both introduce some aspects of socialism and attempt to draw support from locals. Exploitative land rents were abolished and a fixed grain tax was established in order to prevent peasants being squeezed dry by fluctuating grain taxes. Foot binding, forced marriages and child slavery were all declared illegal, while universal reading classes were introduced. At first, land reform was mild and aimed at encouraging co-operating and production rather than ‘wasting’ revolutionary energy on a war on landlords, as Mao put it. In 1930 the government ordered that surplus land be confiscated from landlords and affluent peasants, then handed to villages for redistribution – this process did not punish landlords or confiscate their right to land ownership. Production steadily increased under this policy, and at its peak in 1932 Jiangxi was outdoing most other Chinese provinces in terms of food production. However, from 1933 land reform policies became more aggressive, with landlords and wealthy peasants excluded or given poor quality land, as well as persecuted to the point of hundreds being driven into exile or murdered. Meanwhile, the economic blockade imposed by Chiang on the region meant that local products could not be shipped out, while necessities could not come in, leading to food scarcity. In the autumn of 1935, the CCP government set a target of collecting 1 million dan of rice – this constituted almost the entire autumn harvest of the Soviet, and force had to be used to requisition the grain from peasants2. Alongside reform the Jiangxi government also imposed conformity, harshly punishing those who it felt were counter-revolutionary. As early as October 1930 Mao wrote to the party headquarters in Shanghai that in the county of Futian “The entire Party is under the leadership of rich peasants”. These accusations arose as a reaction to the milder nature of the revolution there, which was designed not to antagonize local families, relatives and clan members. The Futian leaders were branded ‘mountaintopists’, i.e. guilty of putting local concerns above wider CCP interests. Mao’s answer was repression – he believed that “it is necessary to create terror for a while in every rural area, or otherwise it would be impossible to supress the activities of the counter-revolutionaries in the countryside”3. In October 1930 he instigated a violent purge of the Red Army, punishing those he suspected of being loyal to Li Lisan, the CCP member who was opposed to Mao’s peasant based approach. It is claimed that Mao arrested 4000 soldiers and executed 1000 as members of a supposed ‘Anti-Bolshevik Clique’. The purge escalated in December 1930, when a group of Red Army soldiers freed some of the captured men from the town of Futian, and began to proclaim banners reading ‘Down with Mao Zedong.’ Mao pretended to invite the mutinying officers for a peaceful meeting, but instead arrested all 200 and had them executed. The use of violence for revolutionary goals was further entrenched by a Land Investigation drive launched in 1932, which found almost 6000 “new enemies” in the base and punished them with fines, imprisonment, hard labour or death. At the peak of repressions, 13,620 “enemies of the people” were identified and punished within just three months. Many chose to flee the violence – in the district of Shantang, a third of the population of 6000 fled to Nationalist-controlled areas, with some coming back with advancing Nationalist troops as scouts, guides and spies4. Army was built up by both Mao and Zhu along egalitarian lines, in which officers were given no special treatment. It also acted as a propaganda machine, with soldiers being taught to ‘not take a single needle or thread from the masses’ and helping peasants sow seeds and collect the harvest in their free time. This contrasted with other armies, who generally looted and pillaged peasants, winning the Red Army respect from the local populations. 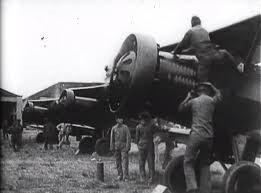 However, the Red Army suffered problems just like any other – an urgent memo to the Rujin leadership in August 1934 warned that “Three-quarters of the militia mobilised for the recent battles in the whole Soviet region ran away within the first few days”5.